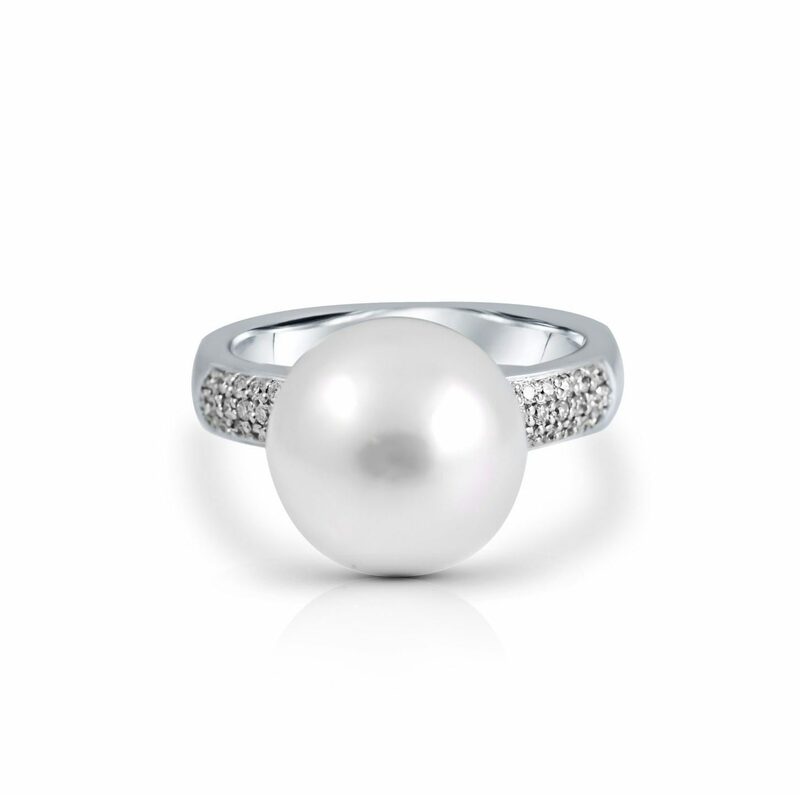 An 18K White Gold pave set diamond and south sea pearl ring, featuring an 11mm near round Australian South Sea Pearl and a triple row of pave set round brilliant cut diamonds on the shoulders. Looking for a complete set? Check out this stunning pendant. We're currently out of stock for this product. If you would like to have one custom made, please contact our team.